Over the past two years, Canadian home buyers have had to endure two major changes to mortgage qualification rules. And while the regulations have been rationalized as an effective way to dampen hot housing prices, one expert says they’ve done just the opposite. In 2016, Canada’s Department of Finance introduced a mortgage stress test for buyers with less than a 20 per cent down payment. In January 2018, an additional stress test was introduced for uninsured buyers. Both measures have seriously cut into Canadians’ home buying budgets and — according to Realosophy president John Pasalis — inadvertently driven up prices in the country’s condo market. “One of the intended goals of this policy was to help cool down the rapid increase in house prices, in particular in cities like Toronto and Vancouver but when we look at the data for Toronto, it actually had the opposite effect for the one house type that was still within reach of most first-time buyers – condominium apartments,” writes Pasalis. In January 2012, the average price for a condo was $321,475. That number had risen 34 per cent to $429,407 by the time the Department of Finance introduced its stress test in October 2016. 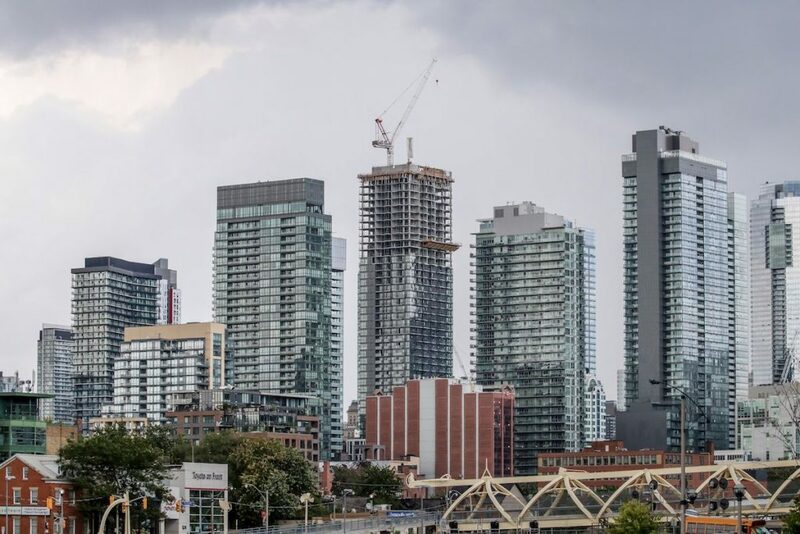 “Since then, the average price for a condo climbed to $559,343 in April 2018, a 30 per cent increase in just a year and a half since the stress test was introduced,” he writes. With buyers unable to qualify for expensive low rise homes, Pasalis writes that a surge of demand has boosted condo prices, pushing them out of reach of many would-be buyers. But doing away with mortgage stress tests isn’t the answer, according to Pasalis. He argues that the government did too much too soon, and should consider a more measured approach moving forward.